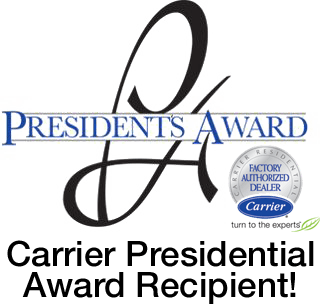 Built on Willis Carrier’s invention of modern air conditioning in 1902, Carrier is a world leader in heating, air-conditioning and refrigeration solutions. At AccuTemp Refrigeration we have been installing, repairing, and maintaining Carrier equipment in the Phoenix Metro area for over 30 years. Do you have a Carrier AC or Heating unit that needs Repair or Maintenance? AccuTemp Refrigeration’s NATE certified Technicians can help ensure you get back up and running as quickly as possible. Our technicians are not commissioned so you do not have to worry about a sales pitch for repairs you do not need. We get to the problem quickly and fix immediately. AccuTemp Refrigeration offers a Free on site quote and estimate service for any new Carrier AC or heating equipment. This allows us to fully understand your requirements and needs so that you get the right solution, nothing more and nothing less. Some people like to dictate every nuance of their climate, from humidity to temperature. Some like remote access to tinker with temperature and save money even when they’re not at home. Some like to specify preferences in eight different rooms. And some people simply don’t want to have to think about it at all. Which is why Carrier line of thermostats and controls has something for everyone—including you.